Since 1998, Landscape Technology Group has served Vail Valley residents and businesses with exceptional landscaping services to create beautiful landscapes, welcoming environments, and fantastic outdoor living spaces! Our experienced, educated landscaping team love working with clients to design, install, and maintain exceptional mountain landscapes for you to enjoy year-round. We understand the unique Colorado environment and extensive range of suitable Colorado plants, grasses, and trees to enhance your lawns. With unmatched planning, design, and maintenance services, our knowledgeable team offers more than 130 years of combined experience. You can count on our landscape designers and contractors to go above and beyond your highest expectations. Landscape Design and Installation: Consultation, planning, design, and installation of a highly customized landscape created just for you! Landscape and Lawn Maintenance: Once your exceptional landscape is built for you, don’t let that hard work go to waste! We provide seasonal landscape clean-up and maintenance such as pruning, fertilizing, and aerating your lawn. Landscape Irrigation: Keep your landscape in peak condition, conserve water, and save money with our irrigation services, including sprinkler system installation, replacement, and repair. Lawn Mowing: Keep your lawns healthy throughout the seasons with our personalized lawn mowing services in Vail Valley. We work on a wide range of landscaping projects, helping homeowners and businesses envision and realize their ideal outdoor space. Since we are experts in landscaping with native Colorado plants, our approach ensures outdoor beauty that is complementary to its surroundings and efficient in it natural resource needs. 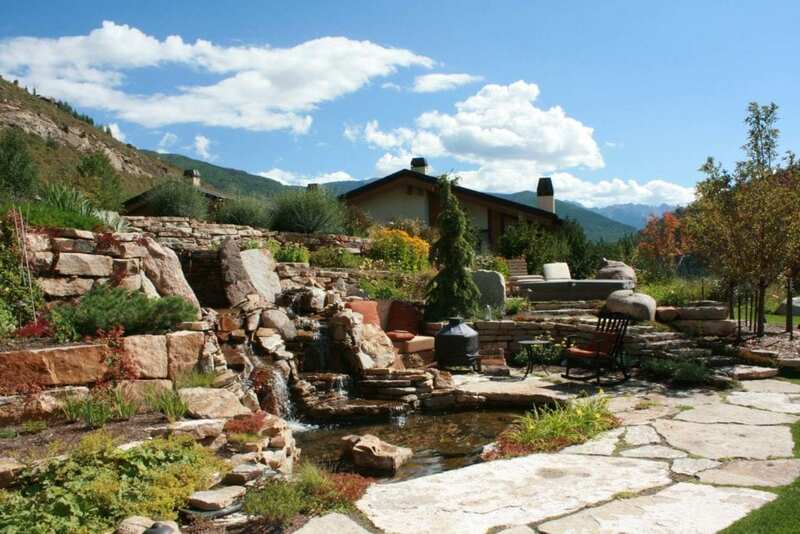 The Landscape Technology Group has proudly served the Vail Valley and surrounding mountain communities since 1998. Whether you’re an out-of-state second home owner or a valley native, you can rest assured our landscaping team brings 20+ years of experience designing and maintaining sustainable, beautiful landscapes in our rugged mountain environment. Based in Vail, our fleet of landscape professionals serves Gypsum, Beaver Creek, Avon, Edwards, Cordillera, Morning Star, Eagle County, and surrounding communities. Whether you have a vision that is modest or grand, small or large, our Landscape Technology Group team can work with you to make your landscaping dreams a reality. Contact us today!